Navigating city centers, as well as bus and train stations can sometimes be complicated for those in a wheelchair or with other mobility needs. To help those, Google Maps now offers a selectable Wheelchair Accessible route option, hopefully leading to easier trips around town for those who need it. To access this function, type your desired destination into Google Maps, tap Directions, then select the public transportation icon. Once there, tap Options and under the Routes section, you will find “wheelchair accessible” as a new route type. When you select this option, Google Maps will show you a list of possible routes that take mobility needs into consideration. 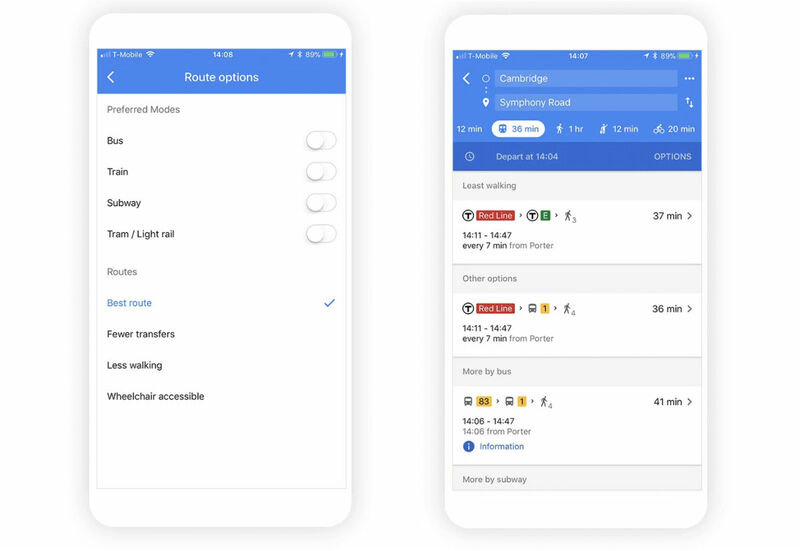 According to Google, this feature is rolling out in major metropolitan transit centers around the world, starting with London, New York, Tokyo, Mexico City, Boston, and Sydney. As Google continues to work with transportation agencies around the world, this list will continue to grow.